For nearly three years I was a full time print, and later, television and internet journalist in Ukiah, Calif. Due to the responsibilities of these positions I signed up for a number of e-mail lists, not the least of which was the Mendocino County Sheriff's Department press releases. Even though I haven't held this post in nearly six months, I still receive regular updates from these lists. What follows is the body the e-mail from the latest installment. It should be clear from the content why I haven't yet taken the time to unsubscribe. 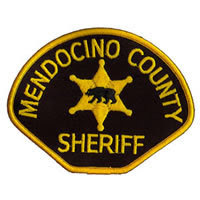 On the afternoon of 1-3-2011 the Mendocino County Sheriffs Detectives and Deputies, with the assistance of Newly elected District Attorney David Eyster and personnel from his office, continued the investigation into the shooting death of the victim. Law Enforcement learned that during the late evening hours of 1-2-2011, The listed victim and suspect had been living together in a 40' camp trailer North of Willits,Ca. At some point during the evening, the suspect obtained a firearm and fired at least one round which struck the victim in the upper torso. On 1-3-2011 Mendocino County Sheriff's Detectives and district attorney personnel interviewed the suspect. The suspect advised during the day on 1-2-2011 he and the victim had been involved in a domestic verbal argument regarding their dog accidentally being injured while the suspect was playing with it. he told detectives on the evening of 1-2-2011 the victim was lying in bed while holding the small injured dog. The suspect decided to shoot and kill the dog and retrieved a handgun. While the victim was still holding the dog, the suspect fired one shot missing the animal. The suspect fired a second shot fatally striking the victim. The suspect was subsequently arrested for murder and transported to the Mendocino County Jail. His bail is set at $500,000. Mendocino County Sheriffs Detectives are continuing the investigation into the incident. The release of the victim's name is pending until notification of next of kin is completed.